Highway Radio is an unparalleled medium that reaches the largest single market of tourists heading to southern Nevada. We provide advertisers an opportunity to have an intimate conversation with 14 million tourists over a 4 to 6 hour period; 35% of those tourists are undecided on accommodations. WHY DOES HIGHWAY RADIO WORK? Strategically placed radio towers create complete continuous coverage of over 40,000 square miles of the Mojave Desert and the southern Nevada pipeline — I-15 — allowing you to reach millions of travelers and hundreds of thousands of Mojave residents. 400,000 watts of power insures high quality reception throughout the desert. HOW DOES HIGHWAY RADIO REACH TRAVELERS? The Highway Radio audience is a captive audience. Travelers across the Mojave face a 4 to 8 hour drive to tourism destinations in southern Nevada. They want and need traffic, weather, entertainment and accommodation information. For 37 years, Highway Radio has delivered just that. Highway Radio is without peer because it is the only broadcaster serving this huge feeder market with up-to-the-minute traffic and weather information 24/7…that’s all night and weekends too! For 32 years, Highway Radio has been broadcasting the Vibe of Las Vegas and Laughlin, reaching the largest single market of tourists heading to Southern Nevada. Highway Radio is a network of strategically placed radio towers that create complete, continuous coverage over 40,000 square miles of the Mojave Desert and the Southern Nevada pipelines—Interstate 15, U.S. Highway 93/95 and Interstate 40—allowing you to reach millions of travelers and hundreds of thousands of Mojave residents. With 400,000 watts of power to insure high-quality reception throughout the desert and in the local Las Vegas Marketplace, advertisers can have an intimate conversation with tourists over the four- to six-hour period they are en route to Las Vegas and Laughlin. 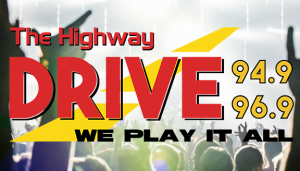 With three distinct stations, each with their own personality and unique listenership, Highway Radio reaches everyone no matter what their listening preferences. The Vibe plays the best of the pop and dance charts of today; The Drive has the best rock of yesterday and today; and Highway Country serves up chart-topping country. With so many options, Highway Radio has something for everyone and advertisers can benefit from our unique positioning. Highway Radio is without peers as the only broadcaster serving this massive influx of travelers, with up-to-the-minute traffic, weather and Las Vegas and Laughlin information, day and night. 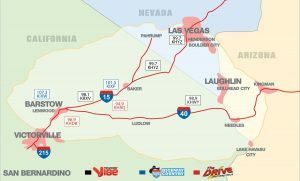 The Highway VIBE is a Hot AC station with a unique mix of contemporary music and information to keep the Las Vegas and Laughlin visitor entertained and up to date! 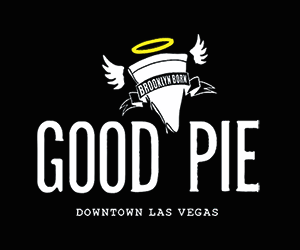 99.7, 98.1, and 98.9 FM delivers your hits, traffic, weather and everything Vegas. Coverage: 40,000 square miles of the Mojave Desert; 1,000 miles of I-15, I-40, I-95, I-93 and other feeder routes; approximately 50 million travelers annually; 500,000 residents of the Mojave and tri-state area. Highway DRIVE features a music library of roughly eleventy-billion songs*, from all kinds of different music styles, the DRIVE is perfect for those of us who can’t make up our minds. We Play It All. *Actual number of songs may vary. 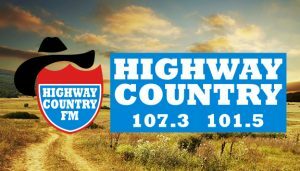 Highway COUNTRY is a mainstream station playing today’s hot new country and all-time favorites from George Strait to Taylor Swift. For more information on how we can help you reach your advertising goals contact us here.